The deal to raise the debt ceiling that may or may not have been reached between President Obama and Speaker of the House John Boehner should be rejected by members of the House and Senate if it is as unbalanced as is being reported in the press. Supposedly it includes no tax increases and that makes it unbalanced on its face. Rather it includes a promise of future tax reform in exchange for immediate cuts to vital programs. In general, the White House has been trying to get agreement with Republicans in Congress to balance budget cuts with tax increases as a way to tame annual deficits and contribute to bringing the accumulated debt down as a share of Gross Domestic Product (GDP). The White House was asking for $4 trillion in cuts and revenue increases over 12 years, but numbers discussed recently are somewhat more modest and talk of cuts, not tax increases, has dominated. While the Republicans have refused to accept tax increases, the President has been willing to put large cuts on the table, even suggesting significant cuts in well-loved programs such as Social Security and Medicare. This inclination exists despite the White House’s insistence that Social Security does not contribute to the budget deficit and its Trustees projection that the program will have sufficient funds to pay benefits in full through 2036, even if no changes are made. While Medicare’s future shortfalls are expected to contribute to future budget deficits—if health care costs are not brought under better control—the Trustees of the two plans project that Medicare can pay all benefits through 2024, and an Actuary Office within DHHS moved their estimate from 2017 to 2029 due to the passage of health care reform, even if no further changes are made on the benefit or revenue side. Any deal that makes significant cuts to the benefits provided by these programs should be rejected. Women are the majority of those receiving benefits from both Medicare and Social Security, primarily because they live longer than men and these programs primarily serve those in their 60s and beyond. IWPR research shows how much women rely on Social Security. More than two-thirds of all women aged 65 and older rely on Social Security for half or more of their income. For men that age, the share is more than half. Among the cuts to Social Security that may be included in the deal, as reported in the media, is a shift in the cost of living adjustment (COLA) to a smaller measure of inflation which is less accurate than the current price index used to adjust Social Security benefits. Health and aging experts agree that elders face higher than average price inflation because they consume so much health care, yet the proposed switch to the “chained CPI” would reduce benefits. According to the National Women’s Law Center (NWLC), at age 65 the chained CPI would reduce benefits by 1 percent and, by age 95, it would result in a 10 percent reduction of benefits. Women are twice as likely as men to live to age 95, meaning a benefit cut that accumulates over time, as the chained CPI does, would especially hurt women. Raising the eligibility age for either Social Security or Medicare amounts to a disastrous cut to seniors and future retirees, who have paid for these benefits throughout their lives. Every one year increase in the eligibility age for Social Security amounts to a seven percent cut in benefits across the board. Lack of health insurance is an enormous problem for older adults. Rates of employer-sponsered health insurance coverage decline beginning at age 50—and continue to decline until the Medicare eligibility age (65) is reached. Raising the eligibility age for Medicare would prolong the period without insurance coverage that many experience just as their health care needs are increasing. The debt ceiling needs to be raised to enable the federal government to meet obligations it has already incurred. Congress has already approved the budget expenditures that require the ceiling to be raised and they should lift the debt ceiling to allow the budget they voted for to be fully implemented. Cutting essential programs that do not contribute to the deficit now and will not for at least a decade is a completely unnecessary part of any deal on the debt ceiling. There are many ways of bringing the nation’s debt under control without attacking programs that Americans rely on for survival. Moreover, Americans strongly support these programs and would be willing to pay more in taxes if necessary to preserve current levels of benefits. Members of Congress who vote for cuts such as these may well find that voters do not agree with their actions. 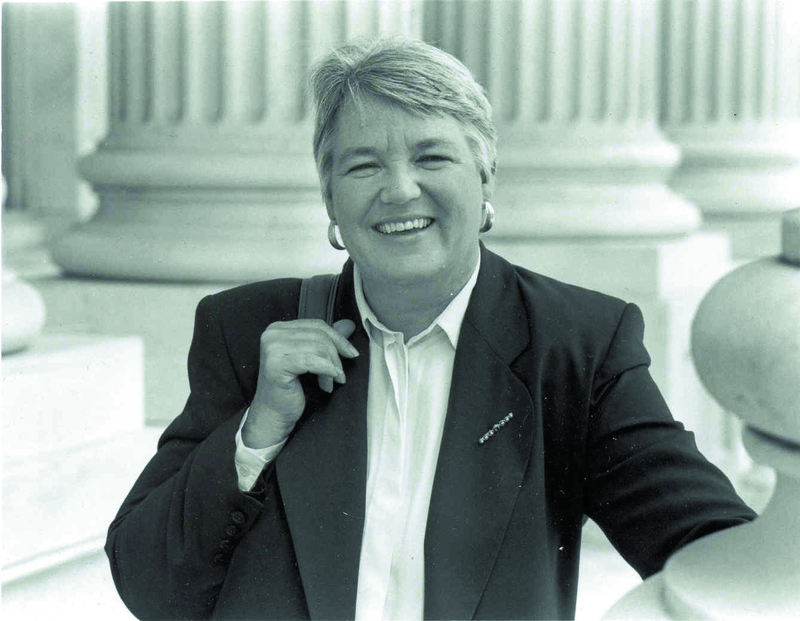 Heidi Hartmann, Ph.D., is the President of the Institute for Women’s Policy Research. he has published numerous articles in journals and books and her work has been translated into more than a dozen languages. She lectures widely on women, economics, and public policy, frequently testifies before the U.S. Congress, and is often cited as an authority in various media outlets.